2019 cruises on sale now! Saga’s exciting collection of unforgettable cruises for 2018/19 is on sale now. 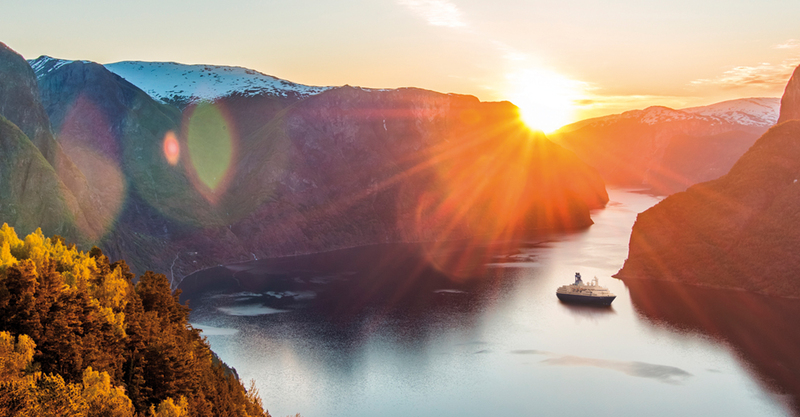 The collection features ten brand new itineraries sailing in 2019, as well as the last ever season of cruises aboard their well-loved ship, Saga Pearl II. Saga’s ships are smaller than the rest, and with fewer people on board you’ll enjoy first class service every step of the way. The VIP treatment – and incredible value – starts when a chauffeur picks you up and drives you to the port, after which you’ll enjoy wine with lunch and dinner, 24-hour room service, on-board gratuities and more, all included in the price. Their latest collection is packed with inspiration, whether you want to sail in 2018 or plan ahead for 2019. Head to Norway to experience the radiant glow of the Northern Lights, the thrill of husky-dog sledding or the sound of classical music filling the air in Alta. Africa promises more exotic adventures, such as watching the sun rise over the rooftops of Casablanca and the Hassan II mosque as you sail towards this ancient city, or soaking up the intoxicating sights and sounds of Marrakesh during an optional overnight tour. If you’ve yet to sail on Saga Pearl II – or can’t wait to get back on board – this is her final season, culminating in her last ever voyage to Africa’s southern shores. This momentous 54-night itinerary will be packed with wildlife and adventure, with visits to the cities, deserts and wildlife parks of South Africa, Gambia, Namibia and Mozambique. Saga’s overnight moorings are very popular with cruise-goers, so the new collection includes two-day visits to more than 40 ports of call. This means you can stay longer and explore more in destinations as varied as Amsterdam, Montreal, Oslo and Seville, all at no extra cost. If you’ve yet to set sail with Saga their mini-cruises are the perfect answer. These shorter voyages are incredible value from just £499 per person, but you’ll get the full Saga cruise experience – chauffeur service, fine dining, stylish accommodation and superb service – in just a few days away. And don’t forget, Saga promises to refund your fare if you don’t love your first cruise with them. So you’ve nothing to lose! Early bookers can save up to 35% on this new collection, and get first choice of cabins and itineraries. What’s more you’ll never miss out on a deal by booking early because Saga’s Price Promise means if they reduce the price or bring in a deal after you’ve booked, they’ll pass the value of the saving back to you.